Time to add my own screenshots here. The nation of Valdoraan has been expanding slower than most, but that's mostly due to every project being a massive super structure. The Temple of Agony serves as the Capitol building, and was the first to be built. The Valdoraan Embassy currently residing in Xehndinavia. The building was re-purposed from the remains of a prototype super weapon. Currently in progress is the International Docking Station (IDS) which will serve as a nexus for all air traffic in Cboxia as well as a construction yard for adding new ships to the Valdoraan fleet. 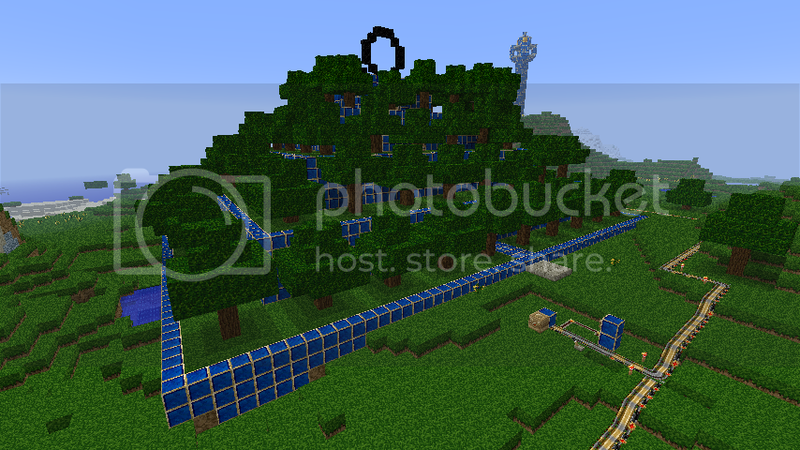 The main ring of the station has an outer diameter of 100 blocks. The view from the deck of a Xehndinavian Ark currently docked at the station. Some shots of the (currently sparse) interior of the station and its functional elevator system. 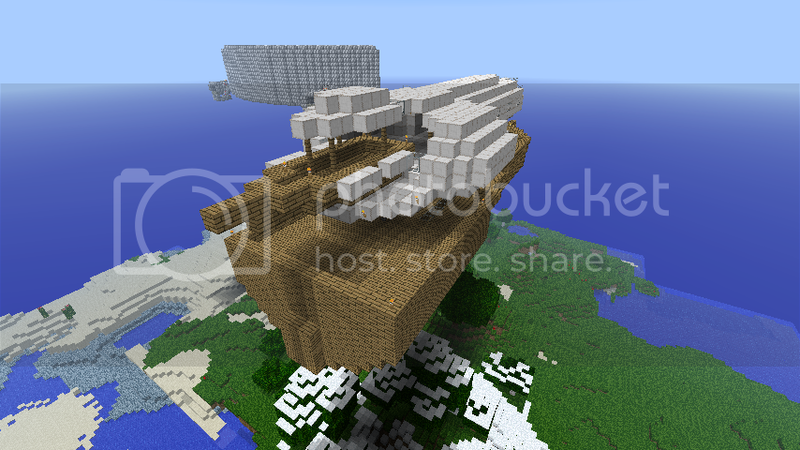 Eventually the inside will be furnished with chairs, trading posts, rest areas, and the like. THE NATION OF XEHNDINAVIA is ready to finally share its sights. 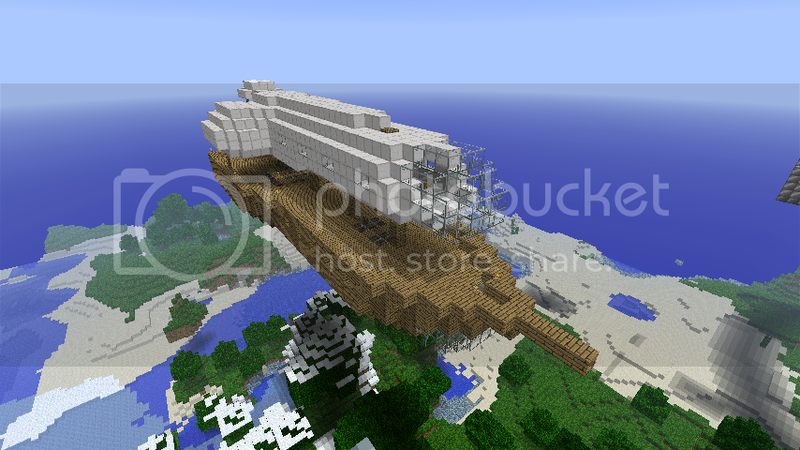 So, first on the list is... the Azure Castle, my floating home. It features a pool, a miniature forest, a small airship dock (with an air-dinghy currently docked), and plenty of space. 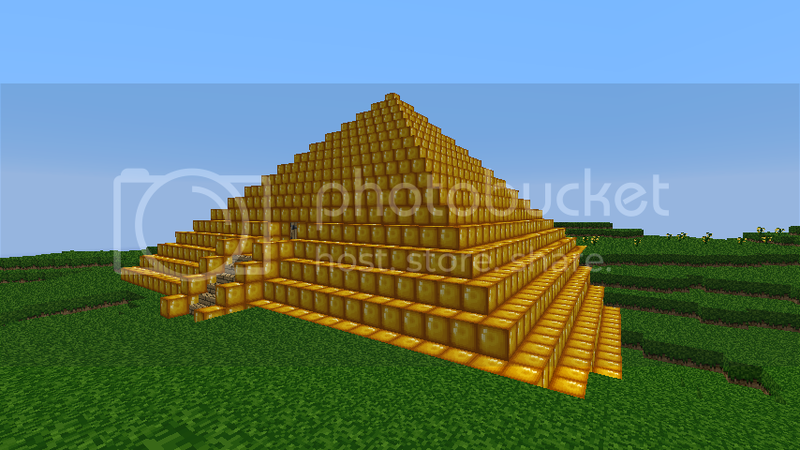 Next is the Temple of Light, originally standing where AK's palace now resides. It was relocated to Xehndinavian soil after I claimed the continent as my own. Then there's my Hanging Gardens, constructed to resemble a childhood memory of what I thought the Hanging Gardens of Babylon looked like. In the background you can see the First Lighthouse. Following this, on a neighboring continent, I have a small claimed territory, home to my cliff fortress. There are tunnels expanding throughout the mountain. 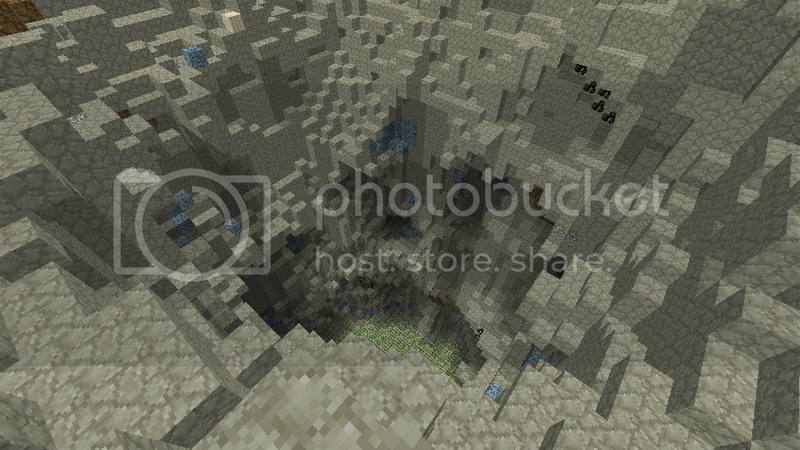 Near the Temple of Light is The Pit, a chasm that expands down to the Bedrock level. It was excavated by Valdor's Ion Cannon, after which I levelled out the base of the chasm with mossy cobblestone. Not sure what I want to do with it yet. 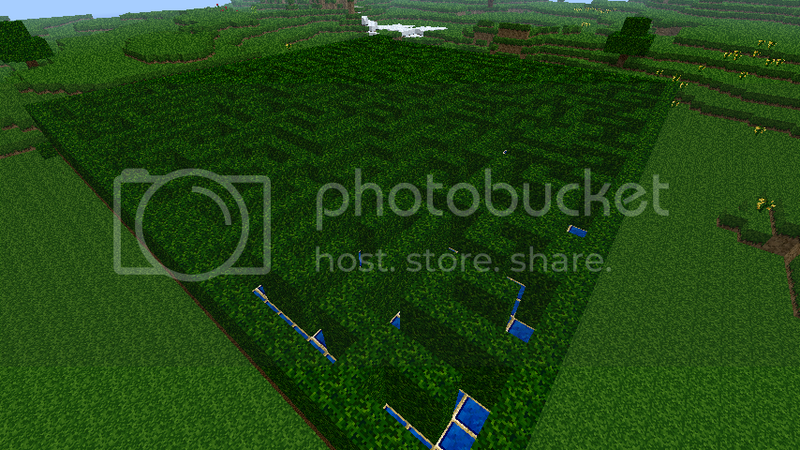 And finally, the Hedge Labyrinth. Self-explanatory. Awesome stuff! Well, humidity is quite bad so I was stuck inside again, blasted summer curse for the area. - Quarter of my city seen during the night. If more chunks were viewable you could see the mall, the incomplete apartment, Busou Shinki center (incomplete), and library (incomplete). - Xehn's Peace Fountain to honor our peaceful relations with one another. - View of the "back". I basically copied my previous tower designs and added to this. New map, peoples. Get it here! Simply place a slab, then crouch and right-click it with the item you want to sell in your hand. Follow the prompts. Same goes you telling me here, in Cbox, or elsewhere . I'll leave you alone and build around it, or nuke it if you don't reply.....I'm being this strict because I want to know who builds where so I can design my structures within Valdor's nation mindset! 'kay, so, last time I posted pics I missed my Xehndinavian Ark. Not a problem. I've just done some rebuilding. Grab your new map update! We've gotten a bit bigger again. Well, since other people are doing it... Screenshots from the nation of Jesstantinople. The Statue of [s]Liberty[/s] Black Rock Shooter, and adjoining boat launcher, which turns out not to work so well on multiplayer. 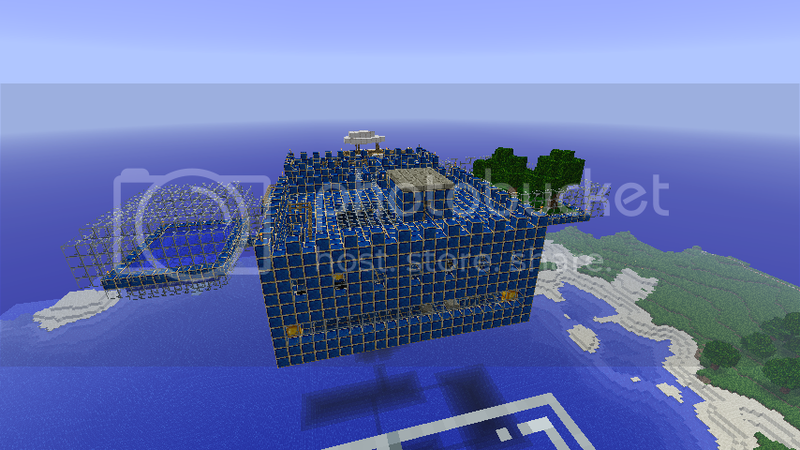 She was recently modified due to her head previously being a frightfully effective mob spawner. The Great Wall of Jesstantinople. Only a small fraction is built so far, however. Wizard tower, not much to say. 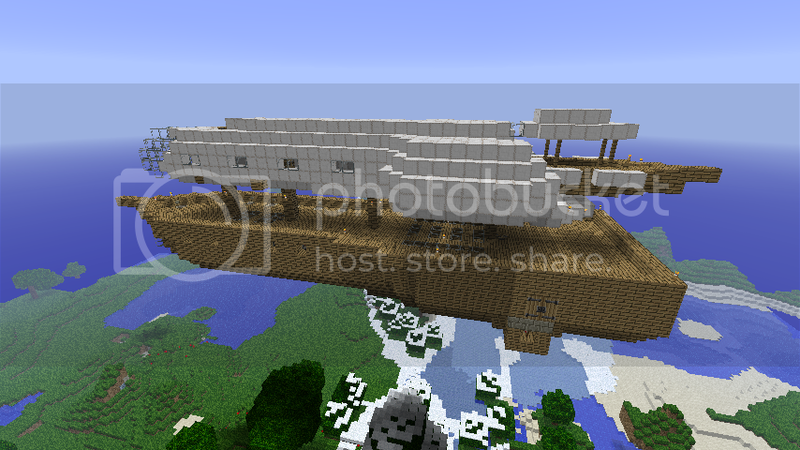 An unfinished aircraft carrier; originally planned as the flagship of the Jesstantinople navy, restrictions with Cboxia's MoveCraft plugin mean it will likely serve only as a static airstrip for the future air force. And lastly, a large, unfinished pixel art of Eukrante.